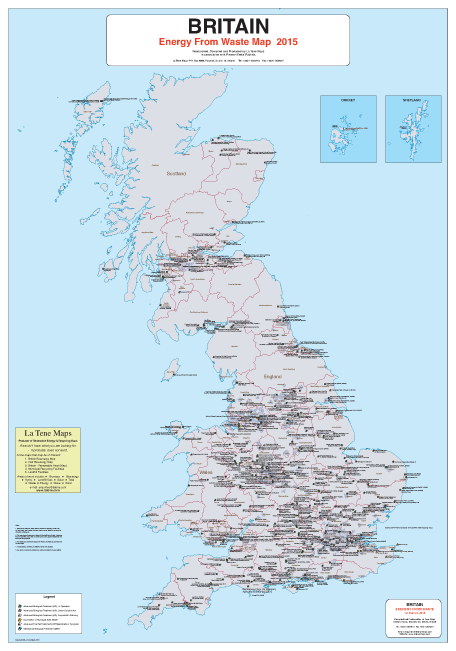 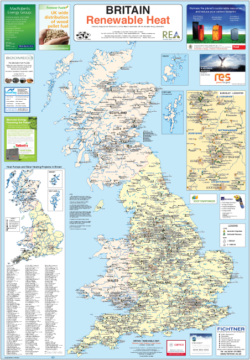 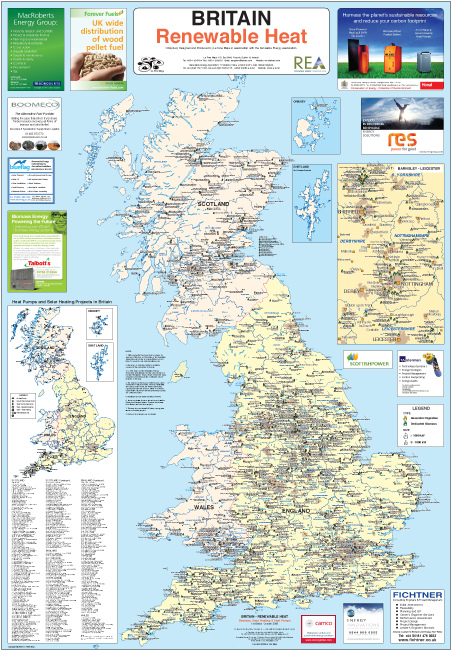 This map is published in association with the Renewable Energy Association (REA). This map shows the location, generation capacity and owner of all Renewable Heat Sites in Britain. 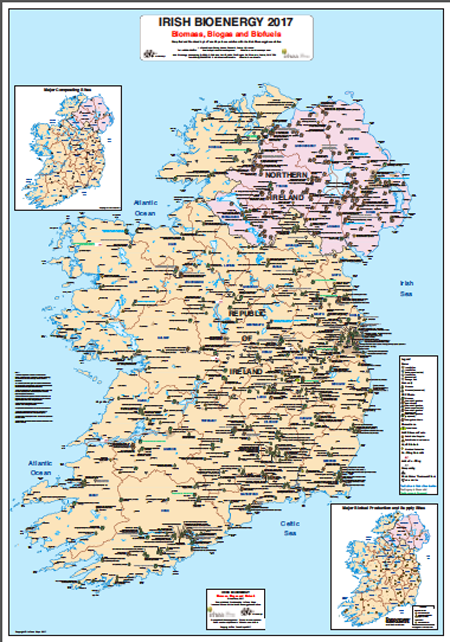 Northern Ireland is included as an inset Map. 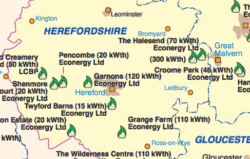 The Map deals with Biomass, Solar Air and Water Heating, Ground and Water Source Heat Pumps as well as Anaerobic Digestion Sites. 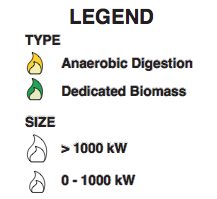 Each technology type has its own symbol and each site is marked together with site operator and output capacity. 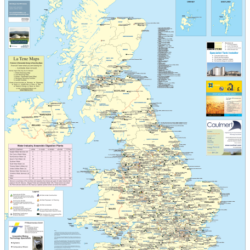 The map deals with sites above the domestic level.